\This CD is hot. Like really hot. 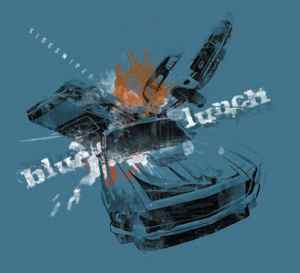 Blue Lunch is a tight band who mix and match their sounds oh-so-well and really deliver an eclectic sound. Hailing from the Cleveland, Ohio, area, this is their fifth CD and it’s a good one. Led by Bob Frank on guitar, vocals, and harp, they offer a sound similar to Roomful of Blues. His vocal style is jumping and in the style of Duke Robillard. Pete London on vocals and harp offers up a different, echoing higher pitched vocal style that reminds me of our buddy from Madison, Jimmy Voegeli. He and Frank are both superb front men. Raymond DeForest on bass and occasional vocals and Scott Flowers on percussion are solid throughout. Mike Sands keyboard work ranges from elegant and harmonious to full throttle barrelhouse. The horns and brass make these guys larger than life. Keith McKelly on tenor sax, Bob Michael on trombone, and Mike Rubin on trumpet (with Gordon Beadle on the tenor lead on a couple of tracks) add a really nice dimension to the tracks.